The Area’s Best Fall Festivals! It’s FINALLY fall! Yes, fall means back to school and moving away from the dog days of summer, but it also means crunchy apples, bright orange pumpkins, delicious treats, and crisp autumn air. We’ve gathered a list of the most fun and most entertaining fall festivals and autumnal events in the area. Take your family, go on a date, even take a stroll alone! These fun festivals have something for everyone. 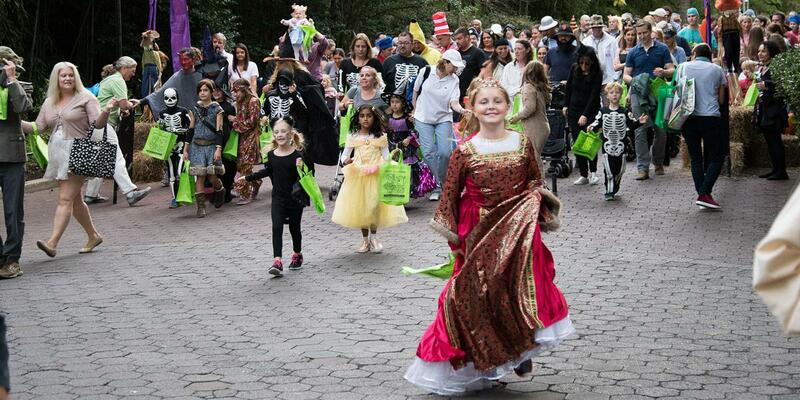 The Smithsonian’s famous National Zoo hosts an amazing treat-filled event – BOO AT THE ZOO! Come dressed up in costume ready to trick or treat at over 40 treat stations! There is candy as well as non-food items to collect as you walk around and explore the zoo. Many animal enclosures are open as well for zoo-goers. The decorations and spooky art installations make for a hilariously scary walk from station to station. Beer and food are available for purchase at the zoo as well. Come ready to say “boo!” And collect yummy treats! All ticket holders get a free treat bag to hold your goodies! Come down on a Sunday afternoon to Veterans Plaza for the Silver Spring Fall Fair! You can taste yummy fall cookies, sip on hot chocolate or apple cider while your kiddos decorate pumpkins! Walk around, meet your neighbors, look at local arts & crafts vendors and celebrate FALL! Bring your kids to Brookside Gardens for a fun pumpkin-filled evening! Children can dress up in their Halloween costume, march through the gardens in a costume parade and paint pumpkins. There are also pumpkin treats to try all while listening to award-winning storyteller Gary Lloyd present “Pumpkin Tales for the Young” telling tales that are more funny than scary. Join in the Halloween fun at Pumpkin Rock n’ Roll – a full-blown Halloween extravaganza. Participate in a costume parade and enjoy family-friendly attractions including live musical performances, food trucks, inflatable rides and slides, and a hay maze. Don’t miss the main event: The Pumpkin Roll, a derby race of Halloween pumpkins-turned-boxcars. Cost: FREE! RSVP/Register in advance. 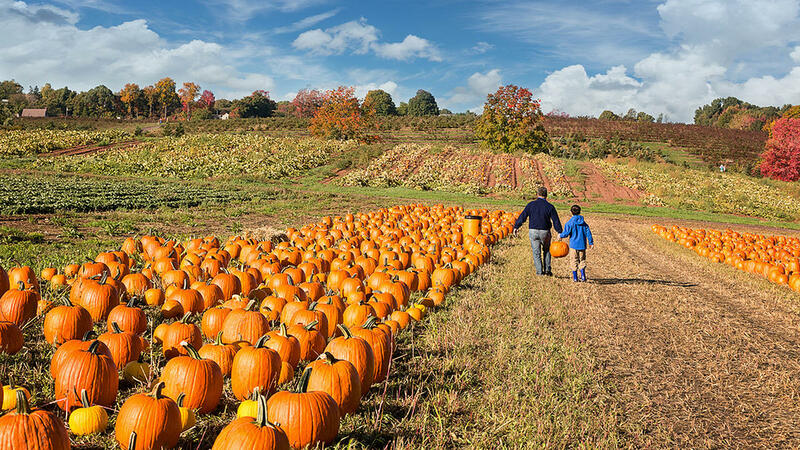 Located in upper Montgomery County, Butler’s 38th Annual Pumpkin Festival is the place to be on the weekends in October! Families will certainly enjoy this festival with kids! There are so many activities and fun stations, that everyone will have done something they loved by the end of the day. Check out the straw pyramid, pumpkin coach rides, a combine slide, pedal tractors and even get your face painted! There are lots of food vendors to tackle all your fall-food cravings as well! The Gaver Farm Fall Fun Festival has so many activities you will have to pack it all in to get everything done! They have everything from pumpkin picking and corn mazes to duck races and a petting zoo. New this season are cool jump pillows for kids. Take a weekend to enjoy the farm air and activities at Gaver! Cost: $13.50 per person weekends, $9 per person weekdays, kids 2 & under free. Come enjoy this beautiful farm for their fall festival! They have a corn maze, hay rides and pumpkin- activities galore! Come enjoy fall with arts and crafts and farm-hand activities that the family and kids will love. While enjoying the festival, pick out some pumpkins to buy for your porch or house! They have a large selection. There are many other activities and events that you can purchase separately at the farm as well like punkin’ chunkin’, pumpkin painting and scarecrow making!